Selling property just got easier (and cheaper) thanks to The-Property-Market.com Advertising packages start from just €29,00 per property . It only takes a few minutes to create a property listing on The-Property-Market.com. Your listing is uploaded to our site in real-time so there's no delay waiting for your Ad to go live. Our low cost property listing packages mean that listing your property for sale on The-Property-Market.com is fast, efficient and cost effective. Property Sellers can list their property for sale on The-Property-Market.com and benefit from immediate exposure to 1000's of property buyers and investors visiting our site each month. Our goal is to ensure that selling a property on The-Property-Market.com is easy, low cost and highly effective. Whether you have a 'villa for sale in Greece', 'apartments for sale in Russia' or 'land for Sale in Africa', The-Property-Market.com provides for the right place to list your property. By listing your property on this site, you are ensuring that your property is effectively presented to The-Property-Market.com for sale marketplace. The-Property-Market.com puts you in control or your own property marketing. So property vendors can now log in and create a property for sale listing in real time - this means that as soon as you submit your property advert, your listing is immediately visible and available on our site and searchable for all to see. Looking to generate more interest in your property? The-Property-Market.com is a Global property portal offering searchable property for sale listings by region and country across the world. We are well positioned in the international marketplace to take advantage of increasing interest in overseas property. With property listing packages starting from just €29,00 for a 1 month listing, real-time uploads and international marketplace exposure, our rates are some of the best priced in the industry - plus your Property listing can be live on our site within minutes! To list a property, simply click on list a property and follow the links to get started. The process of listing a property only takes a few minutes and as soon as you have created and submitted your Ad, your listing will be live on our Site for all to see immediately! A photo tells a thousand words and a photo added with your listing will help increase interest and traffic to your advert dramatically. You can add photos with your property listing in any of our listing packages. You can edit your photos at any time by logging into your account. Place a property on The-Property-Market.com and The-Property-Market.com will send requests from potential buyers to your inbox, avoiding spammers and unwanted mail solicitations. All email addresses are hidden from public view. 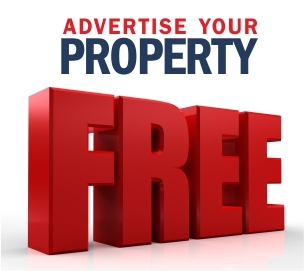 As standard with each of property listing packages, you will benefit from a full page advert. Simply login to your Sellers Account and start creating your property listing by filling in all the fields. 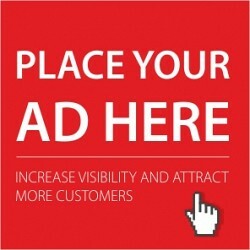 Your full page advert will automatically be created when you click on submit listing. Included with all of our listing packages is the ability to insert a website link or URL, so potential buyers can visit the website of your business or agency when they view your property ad. Simply fill in all the fields when you create your listing and insert the URL of your website if required.